Extending 4K 60 4:4:4 HDR? TechLogix has you covered. TechLogix is the fastest growing brand of 18Gbps extension technology, including solutions for twisted pair, fiber optics and AV over IP. Complete compatibility with HDMI 2.0 & HDCP 2.2. Other manufacturers play games with extender specifications and compatibility. 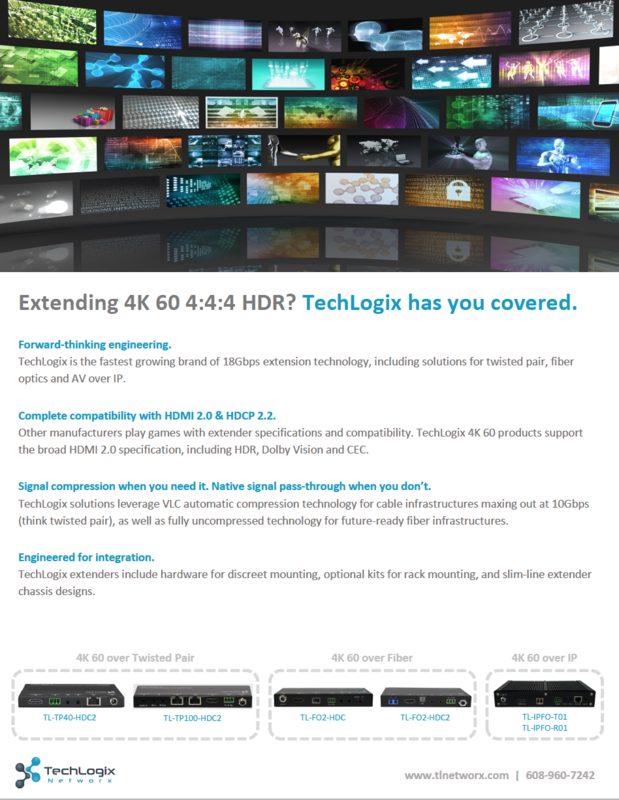 TechLogix 4K 60 products support the broad HDMI 2.0 specification, including HDR, Dolby Vision and CEC. Signal compression when you need it. Native signal pass-through when you don’t.